I'm a little week with this weeks post, but better late than never, right? What do you do with your books after you're done reading them? Nothing horribly interesting, I'm afraid. I usually end up shelving them or boxing them up - it really all depends on how much I enjoyed the book (5 star books stay on the shelves, while others may get put into my book boxes). Sometimes, if I feel like someone I know would really enjoy a book, I'll give it to them and tell them to keep it (that is, if I didn't enjoy it quite as much as they did). If I really didn't like a book, I'll add it to my "donate to the library" pile - but only in extreme cases. Once a book hoarder, always a book hoarder! Summary (from Goodreads): Keep your friends close and your enemies closer. Isn’t that what they say? But how close is too close when they may be one in the same? The Seven Stages War left much of the planet a charred wasteland. The future belongs to the next generation’s chosen few who must rebuild it. But to enter this elite group, candidates must first pass The Testing—their one chance at a college education and a rewarding career. Cia Vale is honored to be chosen as a Testing candidate; eager to prove her worthiness as a University student and future leader of the United Commonwealth. But on the eve of her departure, her father’s advice hints at a darker side to her upcoming studies--trust no one. My Summary: Cia has lived a sheltered life in one of the prosperous sectors of her war-torn world. Ruled by a governing body known as the United Commonwealth, Cia knows that one of the only ways to ensure security and success is to be chosen for The Testing - an honour she's dreamed of her entire life. Amazingly enough, she is one of the only students chosen. But Cia is unable to celebrate: just as she is preparing to leave everything she's ever known behind, she's left with a few chilling parting words from her father - a graduate of The Testing. Trust no one. And whether or not Cia chooses to follow this advice could mean the difference between life and death. My Thoughts: This novel was one of the better dystopians I've read this year. Fast-paced and action-packed, I never found myself waiting for something to happen. And although it might've been a little predictable at times, the writing was done extremely well. I really loved the creepy, suspenseful atmosphere of the novel. Somehow the author managed to make it feel extremely believable - I never felt like actions were forced or unnatural. This was definitely one of the first dystopians I've read that even slightly reminded me of Suzanne Collins' novels, but it was still quite original. It was different enough that it was refreshing, but still similar enough that I could see the similarities and not wonder why it was recommended to fans of The Hunger Games. Final Thoughts: I recommend this novel to fans of dystopian YA and romance. I can't wait for the next installment! Where is the best destination reading spot for you? I'm not picky, but I love a little atmosphere when I'm reading. I love reading when it's raining out, or on cloudy days. Snowy days make me want to spend the day in bed with a book. I loved it when the weather adds that extra bit of atmosphere to any book I'm reading! How about you guys? Any favourite reading weather? Summary (from Goodreads): Sarah O’Brien is alive because of the pact she and her brother made twelve years ago — James will protect her from their violent father if she promises to never leave him. For years, she’s watched James destroy his life to save hers. If all he asks for in return is her affection, she’ll give it freely. Until, with a tiny kiss and a broken mind, he asks for more than she can give. Sam Donavon has been James’ best friend — and the boy Sarah’s had a crush on — for as long as she can remember. As their forbidden relationship deepens, Sarah knows she’s in trouble. Quiet, serious Sam has decided he’s going to save her. Neither of them realizes James is far more unstable than her father ever was, or that he’s not about to let Sarah forget her half of the pact. My Summary: James and Sarah have always been inseparable - growing up with an abusive father and a drug-addicted mother forced them to become the only person the other could rely on. Their relationship may not be like other siblings', but it works for them. Until James starts becoming more demanding, resembling his father in more ways than Sarah can imagine. And as Sarah begins to pull away from her brother in pursuit of a relationship with one of his best friends, James begins on a downward spiral that threatens Sarah's entire life. But how can she get herself out when she owes her brother everything? And what can she do when he asks for more than she's willing to give? My Thoughts: Wow. That's all I can say. 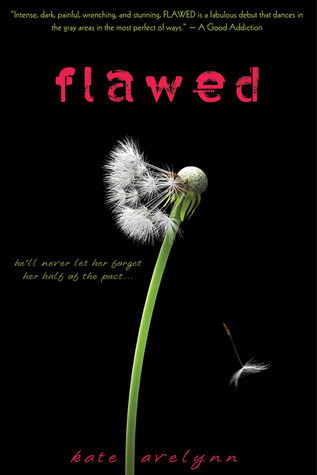 It's tough formulating a review for a book that was so complex and heartbreaking, even though I couldn't put it down. This isn't one of those books you can say you liked - it's one of those books you can say you've experienced. You feel yourself get pulled into the character's world, past the pages and the ink and into the mind of the author. I was hooked from the first sentence, and I only looked up five hours later when I'd finished. I couldn't put it down. Sarah and Sam were a great pair, and for all he did my heart still went out to James. The relationship between Sarah and James was so incredibly intense... definitely something you can see happening as a result of being raised in an abusive environment. The author didn't shy away from any taboo subjects, weaving the story together in a way that made your heart break for the poor kids trapped in a situation that twisted them inside and out. And although it was a heart-wrenching roller coaster of emotion for me, I'm very thankful to the author for having the courage to write the book she wrote. Because while it's a story of abuse and pain and grief, it's also one of hope. Final Thoughts: I recommend this novel to fans of edgier contemporary lit, and also to fans of Tabitha Suzuma's Forbidden. Summary (from Goodreads): Libby's best friend and fabulous fashion designer, Dev, hatches a plan to jet down South and hawk his period gowns to the wives and girlfriends of Civil War re-enactors. 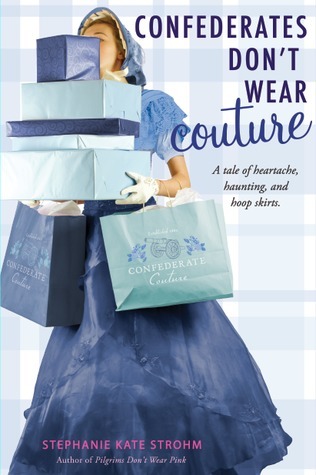 With a pang, Libby abandons her plan to visit her boyfriend, Garrett, in Boston and jumps at the chance to help run "Confederate Couture," and let her inner history nerd loose in a 19th century playground. But Libby and Dev aren't whistling Dixie for long. Between the constant travel from battle ground to dusty battle ground (with no Starbucks in sight, mind you), blistering heat, and a violent ghost set on romantic revenge, they quickly realize Alabama's no sweet home. And the boys. . . well, let's just say Libby's got the North and the South fighting for her attention. Disclaimer: I received a copy of this novel from the publisher in exchange for an honest an unbiased review. My Summary: Libby loves spending her summers in costume, but this year is going to be a little different - her best friend Dev has designed a bunch of fabulous Civil War gowns and has a plan to sell them to the re-enactors. And being the great friend she is, Libby ditches her plans to visit her boyfriend in order to help Dev get his operation going. But will she and Dev be able to survive the South long enough to make it big, or will the constant string of problems - including a ghost - ruin any chance they have of getting "Confederate Couture" off the ground? My Thoughts: This book was great for lounging next to the pool. The dialogue was witty and make me laugh out loud more than a few times, and Libby's character was so easy to like. I loved the little tidbits the author included about historical re-enactments, as well as the history itself. The romantic issues, I found, were really realistic. It was great to have a main character who understood what was going on and didn't make the typical relationship blunders while hoping for her happily ever after. And while Dev's character was really fun, I found him to be a tad too stereotypical for my liking. I really enjoyed the little touch of mystery with the ghost, though- - who doesn't love a good ghost story? Final Thoughts: I recommend this novel to anyone who is looking for a light summer read and some laughs. Check out the authors other books as well! My Summary: After weeks of torture, Juliette is safe at Omega Point. She's now free to be with Adam and will no longer be treated like a freak of nature because of her abilities. If only things had worked out the way she'd hoped. When an unexpected discovery is made and Juliette has to make the heart-wrenching decision to stay away from Adam, it looks like things couldn't get any worse. But a surprise kidnapping and hostage situation brings her face to face with someone she'd hoped to never meet again: Warner. And denying what's between them may cost Juliette her life. My Thoughts: I adore Tahereh Mafi's writing style. The way her words flow and sentences connect makes it so easy to connect to the story, and it almost feels like poetry. The twists in this installment were crazy, and there was never a dull moment throughout. 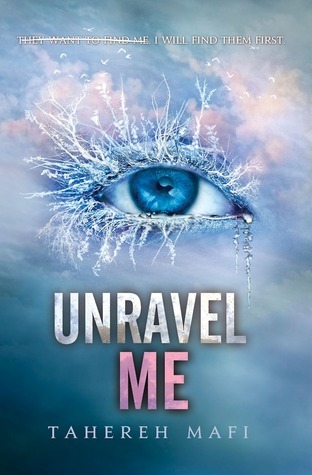 I never thought I would be swayed from Team Adam, but after reading Unravel Me, I'm definitely changing sides. No spoilers here, but.... Warner will break your heart. Just a little bit. Just sayin'. If your heart doesn't break for him even a little bit, then ... well, you probably don't have one. Final Thoughts: I definitely recommend this series to anyone who enjoys edgier YA, as well as dystopian and romance. Summary (from Goodreads): In Viking times, Norse myths predicted the end of the world, an event called Ragnarok, that only the gods can stop. When this apocalypse happens, the gods must battle the monsters--wolves the size of the sun, serpents that span the seabeds, all bent on destroying the world. My Summary: In a family of super-talented people, Matt stands out. He's not the perfect son his parents want - and already have two of - but according to the town Seer and some ancient runes, he's the Champion of Thor: a descendant of Thor chosen by the god to represent him at battle of the end of the world. Fen and Laurie Brekke are cousins and descendants of the god Loki. And while Laurie doesn't know it, she and her cousin have inherited some powers that they'll need to use to help Matt and the other Champions at the battle of Ragnarok. But can these kids really be expected to stop the end of the world on their own -- especially with a traitor in their midst? My Thoughts: Yet another awesome MG novel for the summer! 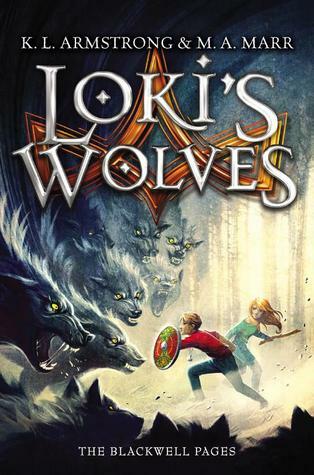 I've had some great luck so far, because Loki's Wolves was everything I hoped for and more. This book was so incredibly addicting. I found myself flipping pages at tremendous speeds, reading every word like my life depended on it. This is the kind of book that traps your mind and doesn't let you go until the end (and then makes you wish you could get your hands on the next installment). Kelley Armstrong and Melissa Marr are some of my favourite YA and adult authors, so there really wasn't any worry on my part that this would be anything but a 5-star book. And it was. The illustrator did an amazing job on the cover art and the interior illustrations, which really brought the story to life. I also really liked that the basic mythology was explained well for those of us (me!) that aren't very knowledgeable about Norse myths. 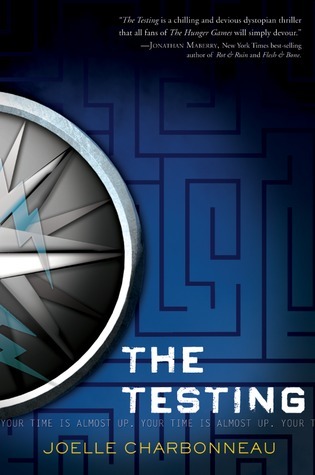 Final Thoughts: If you loved the Percy Jackson novels and are looking for an addicting summer read, this is definitely your book. Fans of Kelley Armstrong's YA series (the Darkest Powers and Darkness Rising trilogies) will also enjoy it. I can't wait for book two!